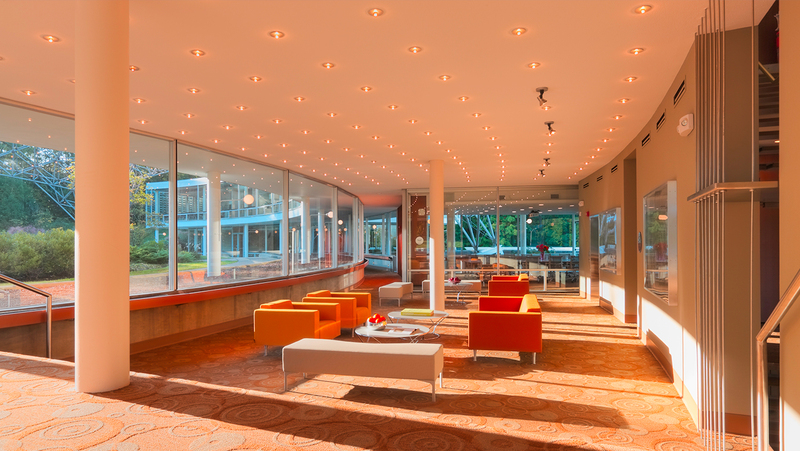 Originally built in 1959 by Cleveland architect, John Terence Kelly, and renowned futurist, Buckminster Fuller, The ASM complex challenged our engineers to rehabilitate MEP systems while preserving the vision of the original architects. Strategies included an ultra-efficient air conditioning system, and perimeter radiant and heat systems. 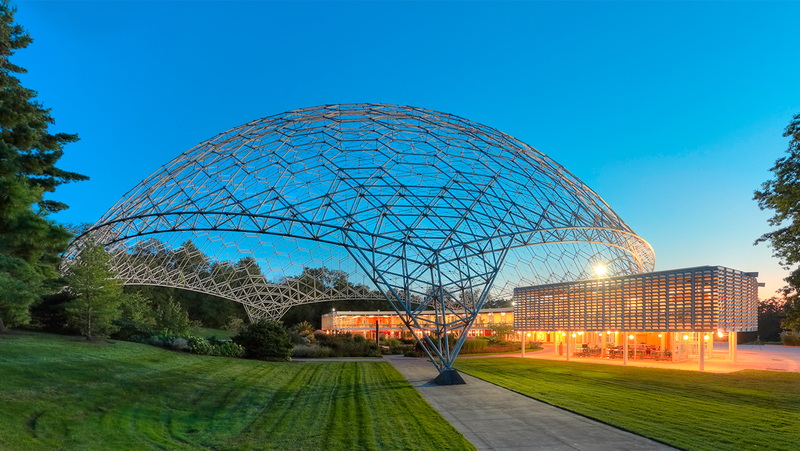 Originally built in 1959 by Cleveland architect, John Terence Kelly, and with a geodesic dome by renowned futurist, Buckminster Fuller, The American Society for Minerals (ASM International) complex tasked our engineers to rehabilitate MEP systems while preserving the vision of the original architects. The inherent challenge for upgrading the mammoth midcentury gem for ASM’s offices and mineral labs was altering as little structure and architecture as possible. Since plaster ceilings to not offer the luxury of easy ductwork access as ceiling tiles do, our engineers needed to be strategic in accessing and upgrading the HVAC. 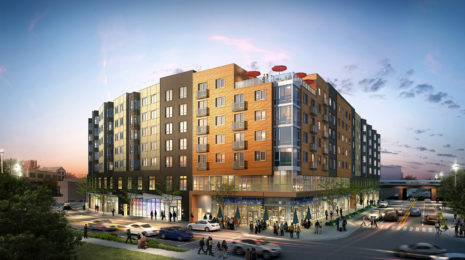 The solution included a straightforward wireless control system coupled with calculated spacing which minimized construction impact to the building. Interior spaces are diverse and varied, from public lounge spaces to highly restricted lab space, and in most cases demanded highly specific lighting, electrical, technological and security needs. In the process, our engineers restored the existing materials lab, including the plumbing, electrical, and the required exhaust system. New exterior lighting accentuates the building’s inherent beauty, in a manner that is not ostentatious, but quite minimalistic and appropriate. The renovation has been profiled in magazines around the world, including Wallpaper* Magazine and Metropolis.